US drama series Banshee, by Alan Ball, has been renewed for a third season. Cinemax has given it the thumbs up as it continues its original programming slate. 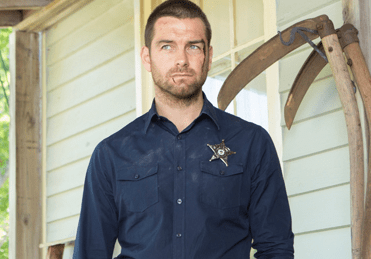 Currently in its second season, Banshee follows an ex-con named Lucas Hood, played New Zealand’s Antony Starr, who takes on the identity of a sheriff in the small town of Banshee. With Strike Back set to end its five-season run later this year, Banshee will become Cinemax’s longest-running original drama. It airs in Australia on FOX8. Love it! One of my faves! For an Alan Ball drama, it’s received very little fanfare. Not sure if it’s any good or not, but the premise doesn’t sound too interesting to me.